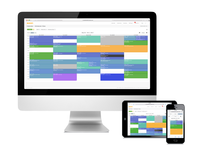 Small businesses wanting to manage appointment, class, course, event or workshop bookings. Jezzam works across industries, from solo businesses owner to small and medium sized teams. Simple & affordable monthly plan. Low cost staff & resource upgrades. 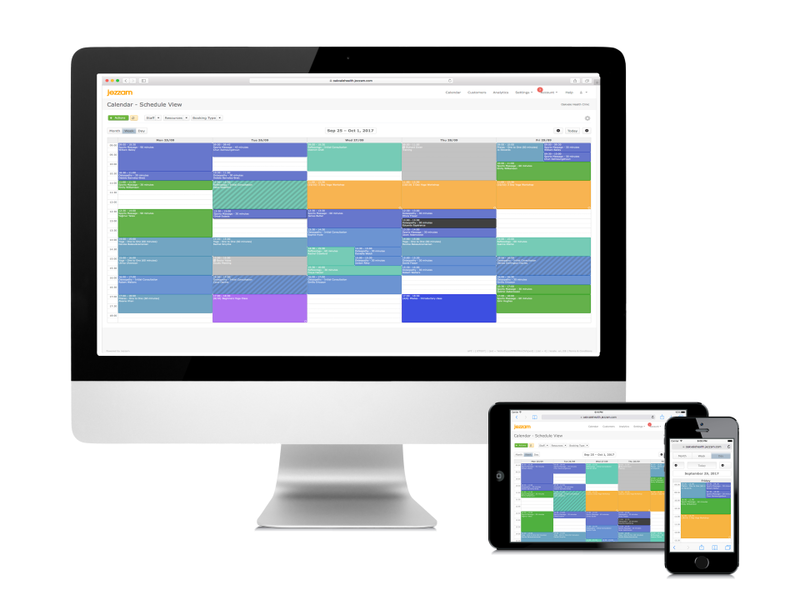 Appointment scheduling and booking software for small businesses that's powerful, simple to use and affordable. 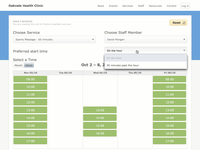 Ultimate scheduling flexibility that allows multiple staff, resources and locations. Take bookings that require combined resources and staff. Manage online and manual payments all in one place. Create public and membership bookings for services, classes, courses and workshops. 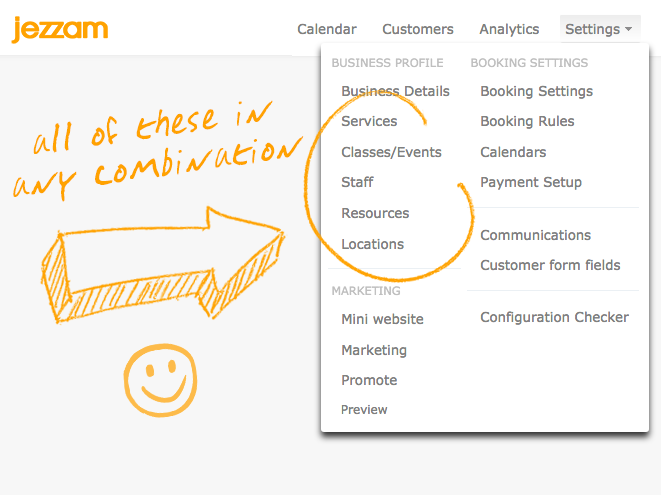 Your customers can see and manage their bookings via their own completely independent account. Really pleased I switched to Jezzam. My clients are too. 1. I love that I can manage availability for my tuition team and my resources separately. Some of my clients bring their own equipment and others use our kit, so it's great to be able to manage this properly at last. It has helped equipment hire become an extra source of revenue. 2. Jezzam has been really easy to use both for me and my clients. 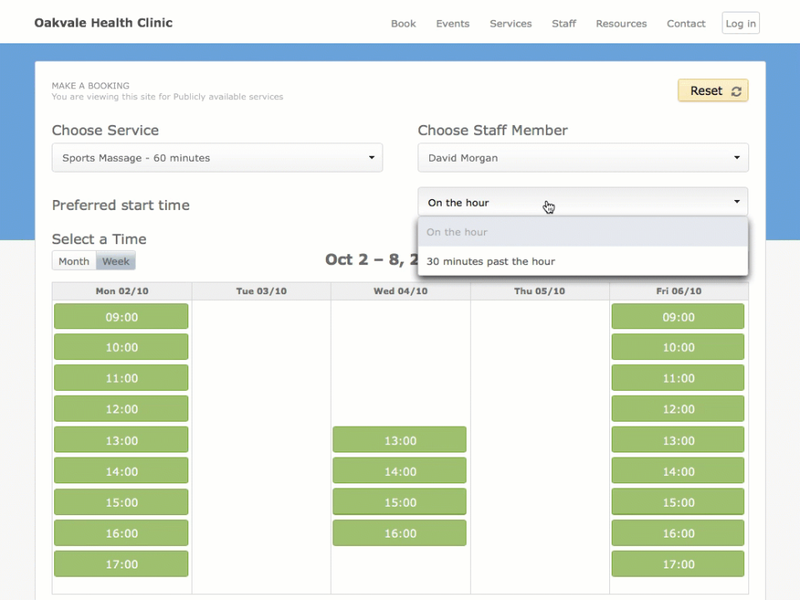 They also say they love using the FIND NEXT appointment function, it saves them the hassle by searching for them. I also really like the configuration checker which automatically checks if I have set things up correctly. 3. The low monthly cost compared to previous systems I've tried. 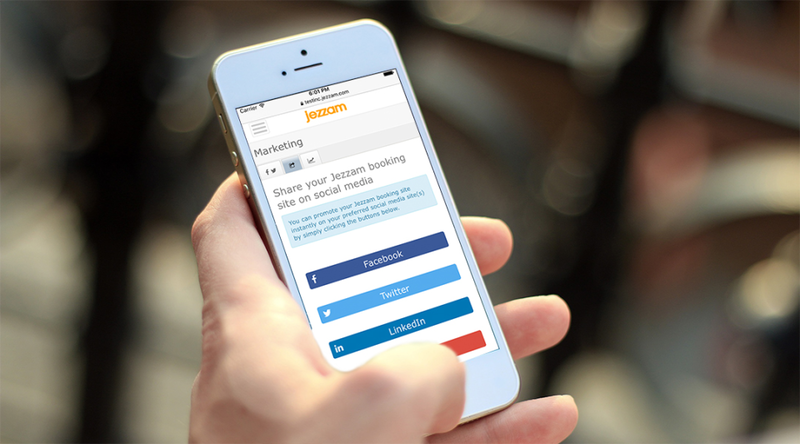 Overall: I would have no hesitation in recommending Jezzam to anyone who needs a powerful easy-to-use booking system. The feedback I've had from my clients has been extremely positive since I made the switch. Cons: There have been a few niggly things like I had issues uploading the image for the mini website, but these have been fixed now and the support team are really responsive in sorting out issues and helping when I have questions. Overall: My clients find the booking process straightforward and painless, and that makes them happy to come back and also refer my business to others! Win-Win! I've also been able to increase revenue as a result of properly managed equipment hire, through Jezzam's resource management capability. Hi Andrew. Many thanks for your review. We try very hard to make Jezzam easy to use for both businesses and their customers, so it's good to hear you're enjoying using Jezzam and your clients are too. Glad to hear we've been able to sort out any issues you've had along the way. Keep the feedback coming - we're more than happy to help. An incredibly simple to use booking system both for members and club administrators alike. Pros: Using Jezzam is a completely intuitive process and has eliminated many of the errors the club had encountered with its previous system. As a former club committee member, I also really appreciated Jezzam's ability to capture data on booking patterns/frequency of court usage. It fast became an essential tool for the ongoing management of the court. Cons: A personal preference would be to select the date of booking before the length of booking but that is the only tweak that I could suggest. Hi Amanda, thanks for the positive review and feedback. 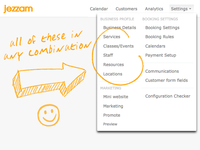 Great to hear that you find the booking side of things easy as well as the admin reporting and analytics useful. Thanks for your comment about selecting date first when booking. Jezzam's intuitive booking page takes a non "wizard" approach to booking (as is usually found in appointment booking software). So in fact you can start the booking process at any point (selecting the date, service, staff member, resource or location first and continuing in any order). This makes selecting based on preference a breeze! Jezzam's sophisticated scheduling engine calculates availability as you go - so no complex wizard only to find nothing's available at the end. Your point is noted however, and our aim is always to make the booking process and administration as simple as possible even with sophisticated businesses. Thanks again. The Jezzam system has completely revolutionised our tennis club's booking system & it's easy to use! Pros: Basically using the Jezzam booking system means that you can relax in the knowledge that the system will run itself! There are also useful statistics you can use to analyse your data. Cons: No problems so far using the new system. The only thing some members mentioned initially was that you can't see who has booked the sessions but with the new data protection regulations this is now a good thing that the person booking has privacy. Hi Louise. Many thanks for the positive review. It's great to hear how much your club has benefited from using Jezzam. You're right about the GDPR - transparency and the protection of data is of utmost importance from our point of view and it's great that your club is also thinking along the same lines. Thanks again. Pros: It is really flexible, and can deal with anything you throw at it, no matter how complex the small business set up. We are a charity with a number of venues, and it is perfect. Cons: Nothing - it's great! It takes patience to set it up, but that's to be expected. Once you understand the system, it's brilliant! Overall: Jezzam is brilliant, and the customer service fantastic. It's turned our small business around. Many thanks for the positive review. It's great to hear that Jezzam's flexibility has really helped Cowley St John. As always, keep the feedback coming and let us know if we can be of any help. Pros: Its simple to understand, and user-friendly. My clients have found it easy to use and I've been able to make simple changes to my mini website with ease. When I had a problem with someone booking, then canceling, then taking someone's place, Team emailed me what to do to keep the records accurate and I was able to do that with ease. Cons: The only problem I've encountered has been with the fact that users have to put their phone number in using +44 and if they get it wrong, they have had to start the page all over again. Hi Elwyn. Thanks for the extremely positive review. Good to know that you're getting the support you need from the team. Yes, the issue you mention about having to enter international dialing codes has now been fixed. Overall: Members can now use any mobile device to make bookings (we had issues with this on our previous system). We can interrogate the system far more quickly than before. Many thanks for the great review and it's good to know that you've found Jezzam easy to use and feature rich. Yes, moving to a new system can sometimes be daunting but glad that the support team were able to help you with training and handy hints. 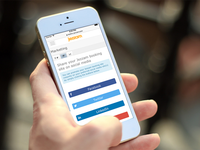 Jezzam is so simple to use and customise, and the customer service is excellent, and speedy! Hi Helen. Many thanks for the excellent review. Good to hear you find Jezzam easy to use. Also good to know you found Jezzam's sophisticated working hours configuration useful. You raise a good point about integrating booking into your Wordpress site. We'll add that request to our roadmap for consideration. Thanks again for the suggestion and the review. Cons: I don't have a problem with this software, however, when I started using this any issues were resolved extremely efficiently and quickly. Hi Ros. Thanks for the great review. Glad you found Jezzam easy to use and that it meets all your needs. Pros: Easy, simple and efficient tool. Loved using it every single time. The creators are quick to response and managed to reply on all my queries. Cons: There isn't much to say against it really. Might not be everyone's cup of tea. Pros: The website looks great, has friendly clear informal language and there is free trial! This was very easy to use as an admin. I liked the way you can keep records of customers so you have all details in one place. 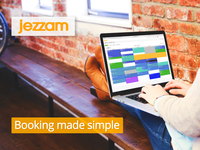 When I set up an account as a customer to book with other jezzam users it was equally intuitive and simple - I will definitely recommend it others. Cons: You need to be able to pay either by credit card or PayPal through Paypal which was fine for me but some people may not like to go via PayPal or think they need an account. I didn't have any other issues, it seemed to offer all I needed. Thanks for the great review! Glad you like Jezzam. Thanks for your feedback about PayPal. We have integrated PayPal into Jezzam as it is one of the most popular payment gateways but we are aiming to add a choice of other payment gateways in the future. Thanks again and please get in touch at any time if you have further feedback. We're happy to report that we've now added Stripe as an additional payment provider. Pros: Great team and amazing support. Very flexible and responsive on all queries I had. Cons: Not that popular as few of the big names. Small team, might not be able to get 24/7 support if needed. Many thanks for the review and glad to hear you're enjoying using Jezzam. Thanks for your comment about support. We offer business hours support and you're right - we are a well kept secret! While we are indeed smaller than some of the larger competitors we feel we are extremely well placed to understand the needs of small businesses. We have an extremely friendly support team and have many customer testimonials about the high quality and quick turnaround (often within minutes) of our support. We'll certainly keep an eye on our support levels as we always aim to provide the best support in the industry.